The shaper of minds obviously has a sense of humour. 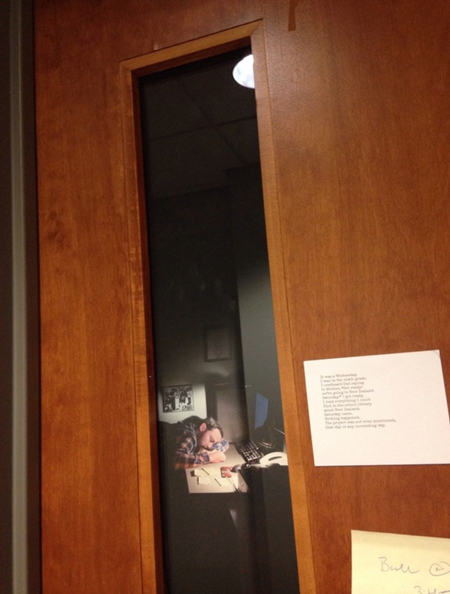 Reddit user Jmarrossi took a snap of his college professor's window, which features a very realistic photo of him sleeping in his office. Come to think about it, it's probably got a lot more to do with avoiding his students rather than wanting to look like he's burning the midnight oil, but it's still genius.